Bred from a long line of field, water and family champions, Cowboy has been a true pleasure to have in our kennel! ​Cowboy is a sight to behold! 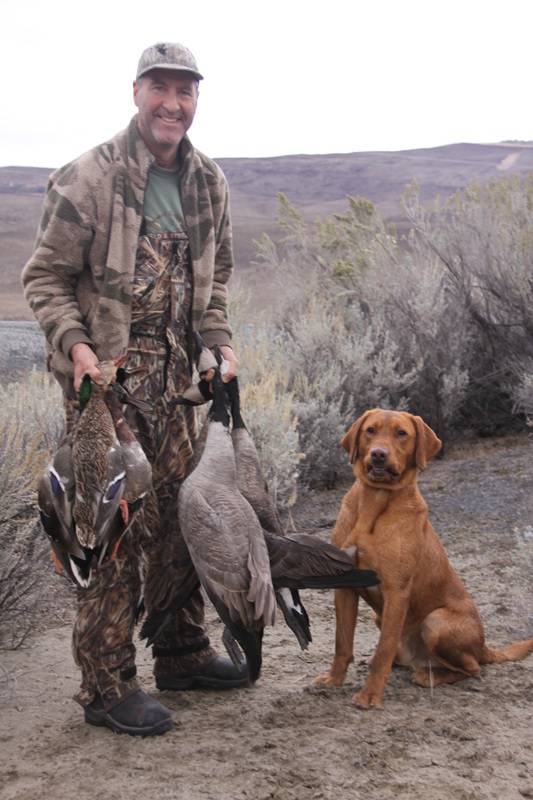 His bloodlines have given him the physique to run big in the field with a willingness to please his owners. He has a strong natural point with style and drive! He is the real deal with roots that go deep into the pointing lab archives. 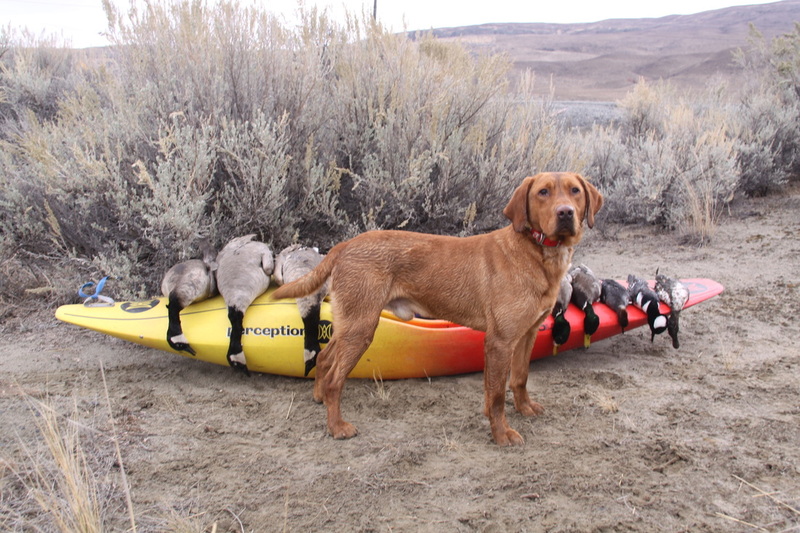 We were fortunate enough to have been able to breed his mother "Rosie" from the original "Point Doctor", to 4 X GMPR "Mighty Max" of Bearpoint Kennel in Colorado. 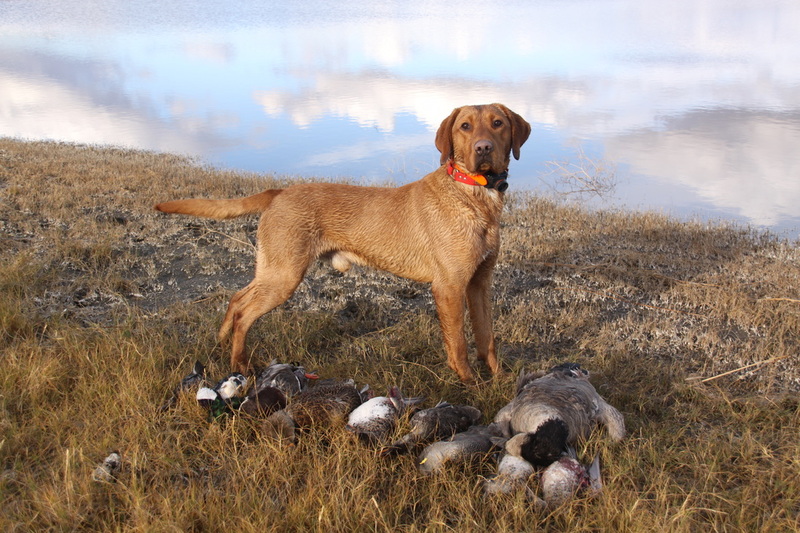 What we ended up with is an awesome stud of a dog that loves to retrieve on land and water, as well as a classy pointer on upland game birds! He is a quick learner and takes to training like a duck to water with a desire to pick up on new things. Cowboy has OFA Excellent hips, Eyes are CERF'd, PRA/PRCD normal (by parentage) and he is EIC and CNM negative by parentage.